After two sizzling performances the second course was served: king prawns steamed and marinated in Chinese five spices served on mango and avocado salsa. It sounded delicious and the housemates could not wait to sink their teeth into the delicacy. Butterphly, having never eaten them before in her life, was keen to try the dish and thoroughly enjoyed it. Tayo, enjoying the performances, could not wait for the next artist to arrive on stage. He did not have to wait long before Nancy G, originally from Swaziland, was on stage strumming her guitar and filling the space with her spellbinding vocals. The housemates were mesmerised as she sang and when she was done Nhlanhla was eager for her to join them, but as they already had an artist at their table she joined Tayo, M'am Bea and Butterphly. Photos of the housemates were still on screen, and they shared their experience with the artists, telling them about Permithias' songs when they subject came up. It was then time for another artist and Kunle Ayo from Nigeria was up next bringing the Hotshots to their feet with his relaxed groove. Housemates were having the time of their lives as the tables filled with the talented artists. Their main course, an ample serving of lamb shank, arrived and Nhlanhla eagerly tucked in, having raved excitedly about the lamb all night. The entertainment kept the evening going, as they received another guest, Wax Dey from Cameroon, who was eager to get the party started. "C'est La Vie" – which means "that's life" in French – was his first song and dedicated to a new-born baby, which must surely have pulled at Tayo's heartstrings. Every dinner needs a sweet ending, which they certainly got with a mouth-watering chocolate tart, followed by a cheeseboard. 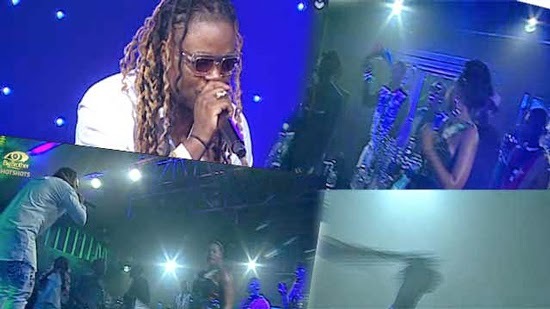 However, the night was not over as Zimbabwean artist Buffalo Souljah took to the stage for the penultimate performance of the night. Housemates and guests alike took to the floor to dance and he followed his energised opening number with a song in Shona. 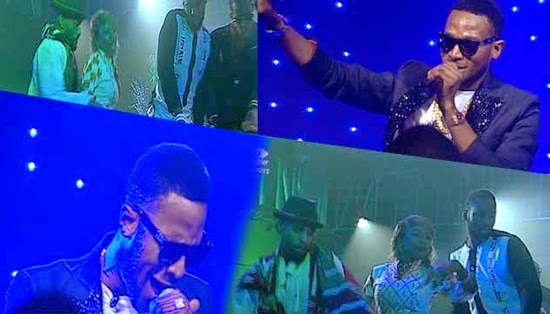 The last peformance for the night was from D'Banj and the housemates were ecstatic to see him on stage. After his first song he took a moment to talk to the housemates and told them that they were all winners. D'Banj also had a surprise in store for them. Having recently become the first African ambassador for Beats by Dre, he had a set of earphones with him and had hidden a pair in the house for one lucky housemates to find. After D'Banj's performance, Wax Dey (also known as Nde Ndifonka,the creative manager for ONE Africa) made an impassioned speech about the organisation's work and announced their new ambassador out of the Hotshot pool: Tayo. The ecstacy was not over as they headed into the house after their dinner party to find D'Banj's earphones. After a frenzied search, Butterphly was the lucky girl and jumped excitedly up and down. It was a long and exciting night for the Hotshots - the perfect ending before the big finale!